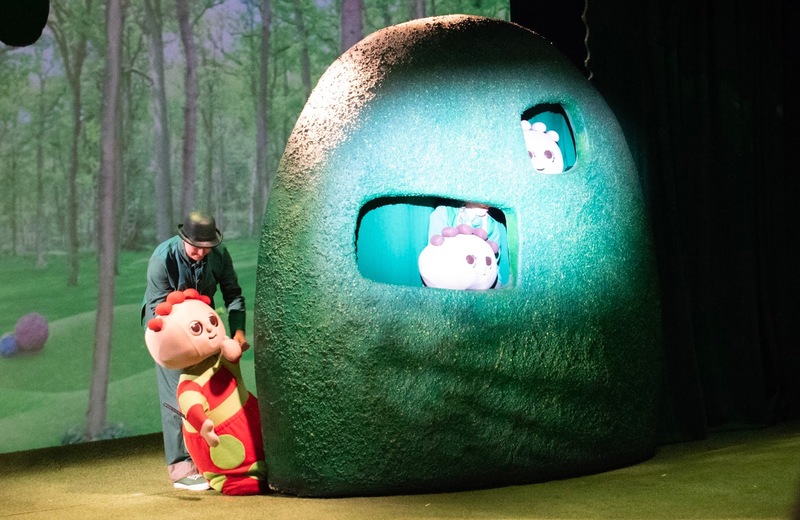 Flicking over to channel 205 just after six has become a daily routine for us, Emily has been a fan of in the night garden since she was months old, Isabelle seems to be following in her big sister's footsteps, as she has fallen in love with it just as much as Emily. 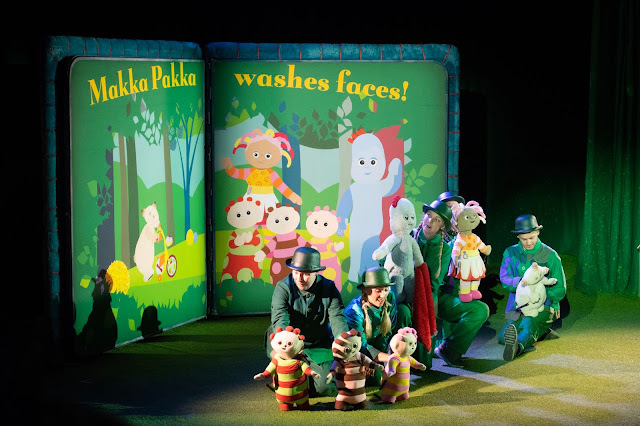 We were recently invited to go and see In The Night Garden Live at Cannon Hill Park in Birmingham. 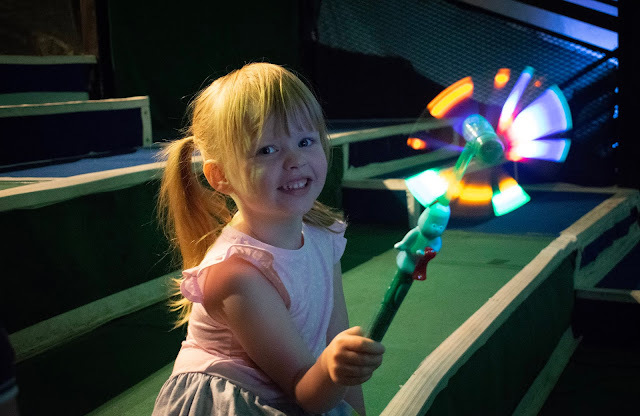 We have previously taken Emily to see the show before and was really impressed, so I knew that we would enjoy it again this time. 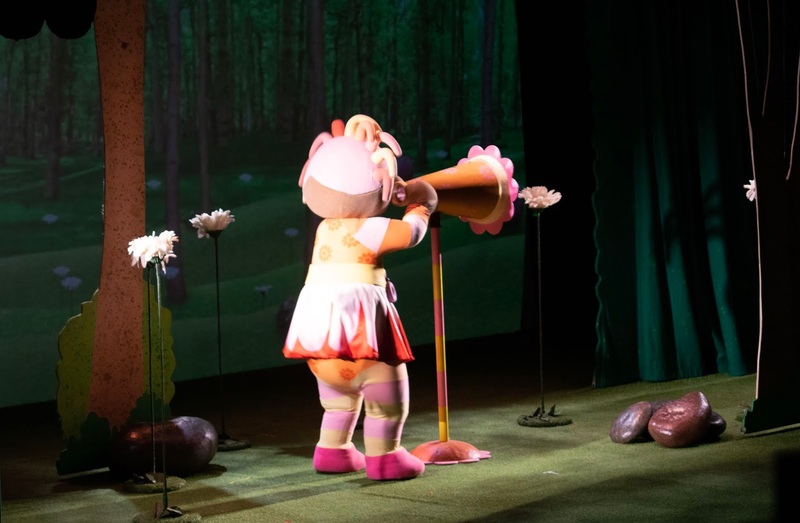 We saw the Pinky Ponk show, where Makka Pakka washes everyone's faces until his sponge become stuck in Upsy Daisy's megaphone. All of the characters appear in both of the shows, so there is no worry about missing your favourites. 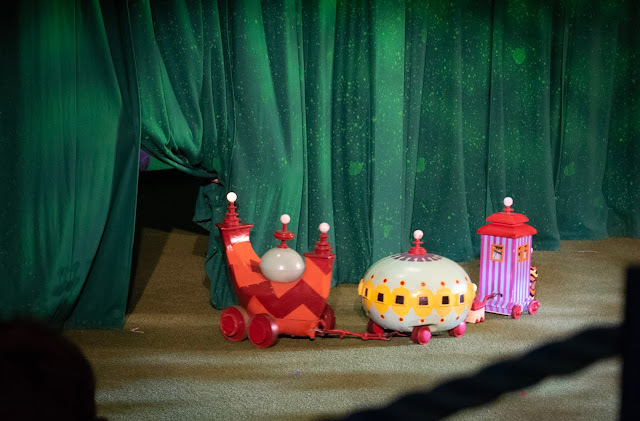 The whole show was beautifully put together and was just like the TV show, from the sounds the characters make to the costumes and the way they move. There were even bubbles falling from the ceiling at the end of the show which fit in with the scene that was playing on the stage. Both of my girls absolutely loved this part of the show as they really enjoyed standing up trying to reach for the bubbles. The show was like an extended episode of the TV program and lasted for about an hour. It began with the starry night scene at the beginning, and then told the story just like they do on the TV show. 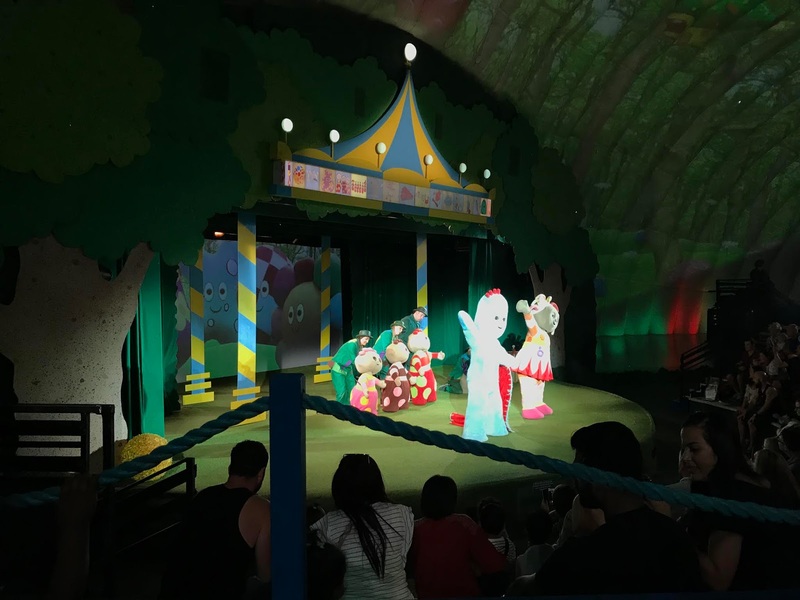 There are no scary 'dark' moments during the show, as the lights never fully go down. I love the fact they incorporated the birds from the TV show, an episode wouldn't be the same without those noisy little birds. 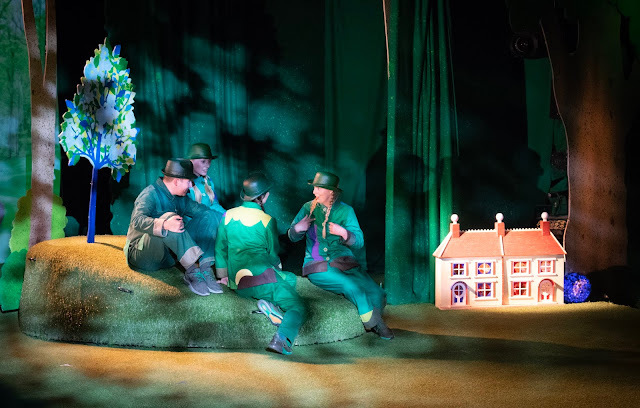 The whole dome came to life, with a mixture of colourful projections, puppets, actors and full-size versions of the main characters. 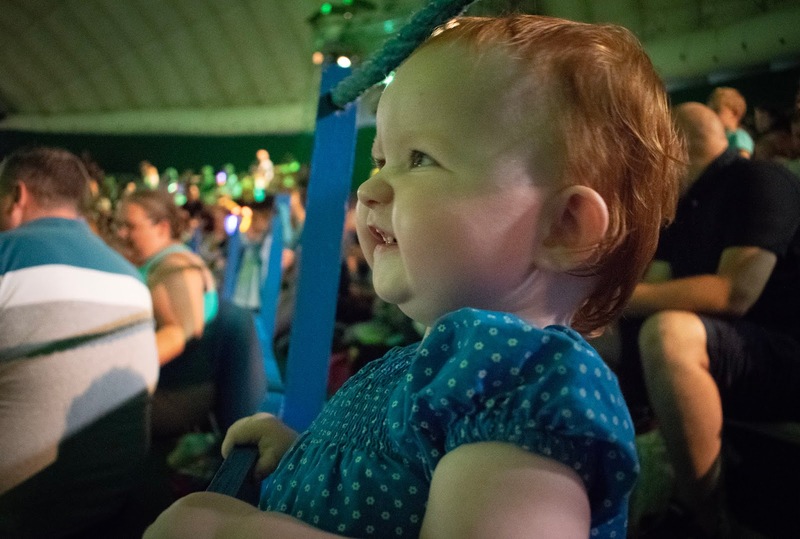 Isabelle found the projection of the Pinky Ponk flying over the ceiling mesmerising and really enjoyed watching it. It kept her entertained until the show started and eliminated the boredom The show also features the familiar narration from Derek Jacobi, the voice from the TV show. Isabelle did get a little bored of the show, but I put that down to her age. She wanted to be standing up and walking around rather than sitting still. We did give her some snacks which seemed to settle her down until her favourite character - Upsy Daisy came onto the stage. 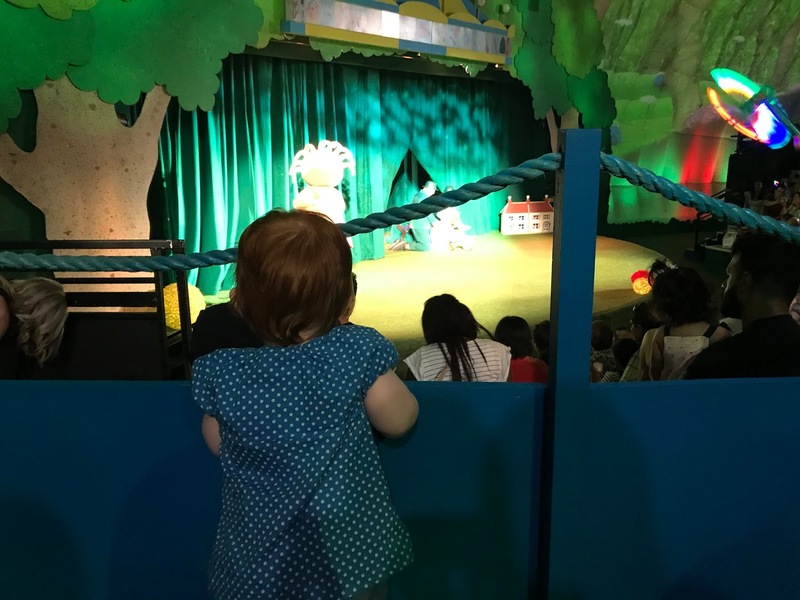 As soon as she appeared she was stood up, clapping, and was glued to the show again. I was a little worried she would lose interest in the show again, but luckily that wasn't the case. 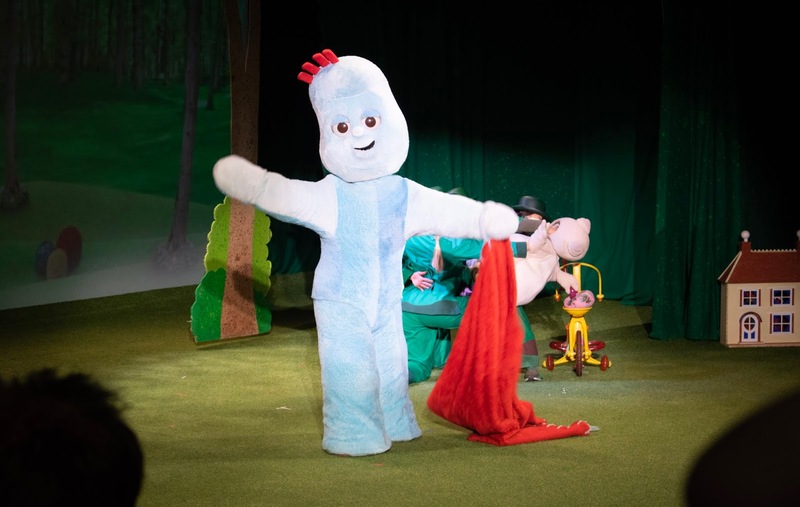 I would really recommend the show to parents of In The Night Garden fans. It was magical, and the atmosphere was amazing. 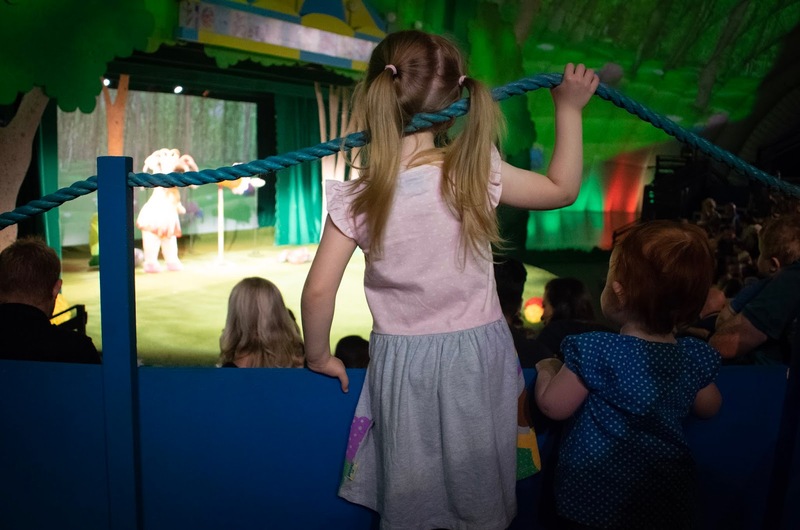 Both of our girls loved it, and there wasn't pressure for the children to sit down, they were able to walk up and down the isles, without a risk of them falling or people getting frustrated with them. 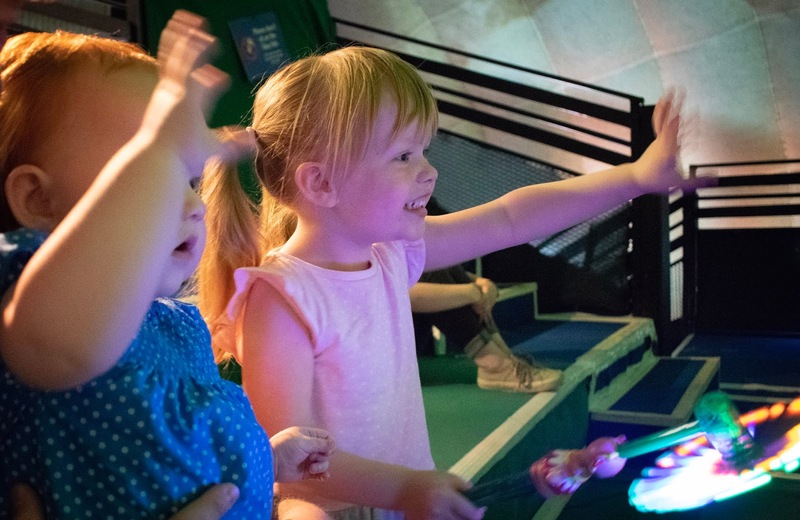 There is nothing more magical than seeing your children's faces light up when they see their favourite characters for the first time. My two were full of giggles, smiles and couldn't wait to see all of their favourite characters. Emily really loved showing her little sister all of the characters and was constantly saying 'squishy look, isn't that cool'. 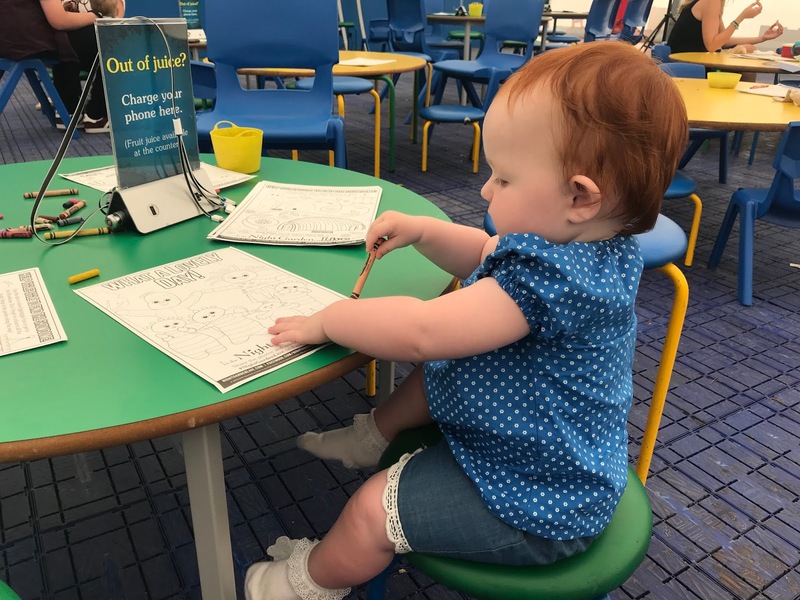 I was also really impressed that they had tables set up in the waiting area with crayons and colouring pages to keep the children entertained while they waited. Emily absolutely loved this, as she really enjoys colouring and Isabelle even gave it a go. 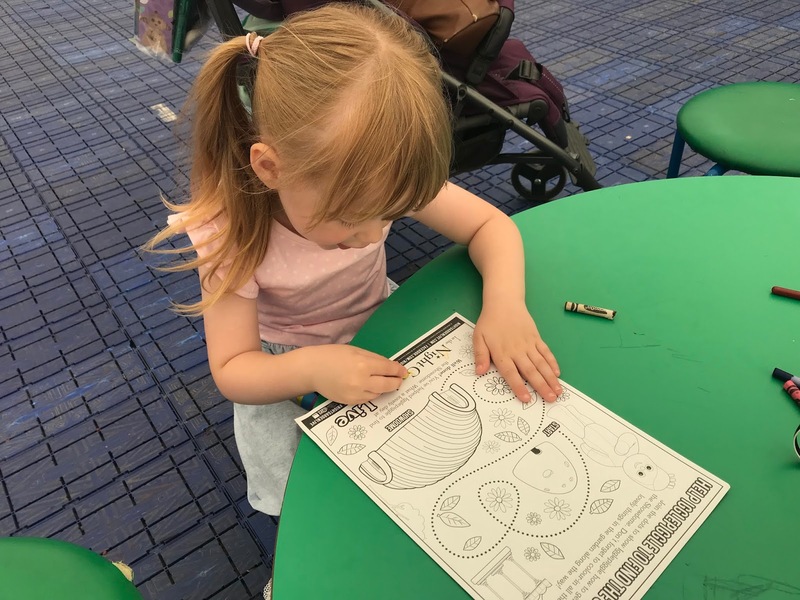 I was surprised that she actually managed to hold the crayon firmly and enjoyed colouring her pictures of the characters. We were kindly gifted the tickets for the show in exchange for this review and our honest opinions. 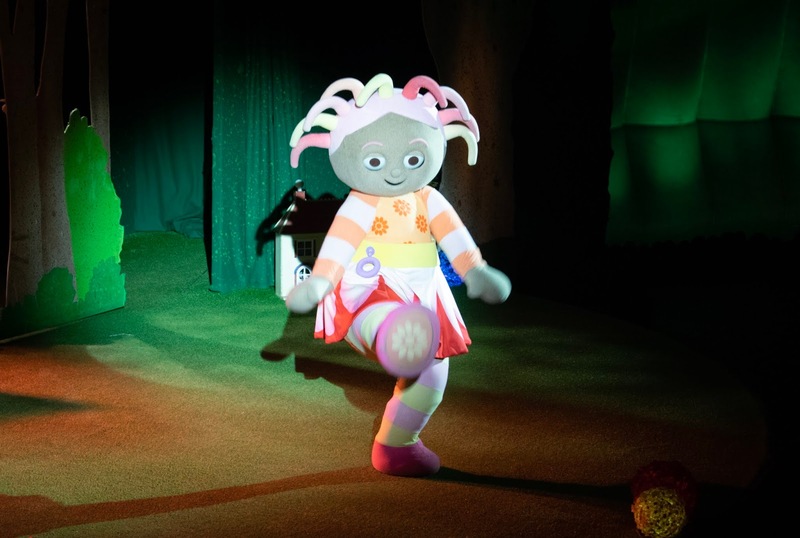 You can get your tickets directly from In The Night Garden Live. After 9 amazing years, and over 1 million tickets sold, They have announced that this summer will be your final chance to see IgglePiggle and his friends live. So get your tickets fast!